There is nothing in medicine more elegant than a public health strategy, especially one that is well-planned and conducted efficiently. One of the best examples of such a strategy can be found in the Global Polio Eradication Strategy. The hope is that such a strategy will do for the world what a similar strategy did for Canada. In 1953, polio peaked in Canada and, in a one year period, there were 9,000 new cases and approximately 500 deaths. The Salk vaccine was introduced in 1955 and the Sabin oral vaccine in 1962 and within 20 years of the 1953 peak, polio was under control in Canada. In 1994, Canada was declared “polio free”. In its peak years, the disease was so widespread that everyone knew a child who had developed limb paralysis because of polio. Of those who developed paralysis, 5-10% could develop paralysis of the respiratory muscles which could result in their death. 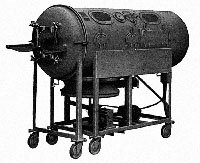 It was for these people that the iron lung was developed. Polio was a major worry for Canadian parents in the 1950’s. For many children, polio would cause fever, fatigue, vomiting, neck stiffness, headache and limb pain. I had two aunts who were pediatric nurses and I remember them speaking about the helplessness they felt nursing a child who had seemed to have a mild illness and then suddenly began to develop paralysis. My aunts have spoken about how much parents would dread whenever their child developed a fever. When the Global Polio Eradication Strategy was initiated in 1988, there were still 350,000 cases of polio worldwide. The strategy was launched in response to a Resolution passed at the World Health Assembly. Within 20 years, thanks to 3 million volunteers worldwide, there has been so much progress toward eradicating polio that the World Health Organization believes it might be possible to eradicate polio by 2018. The last bastion for polio is in three countries: Nigeria, Afghanistan and Pakistan. The challenges that perpetuate polio in these countries include insecurity, weak health systems and poor sanitation. It is possible for polio to migrate from these countries to other countries whose health systems are weakened by the same factors. For example, cases of polio are now being tracked in Syria. The public health professionals and advocates involved in the efforts to eradicate polio are determined and diligent, and they will succeed. From the offices of the World Health Organization in Geneva to the grassroots volunteers around the world, there is a hopefulness in their websites and statements that is undeniable. What must be done to achieve their goal is simple: every child must be vaccinated against polio. It takes a lot of work to ensure that this is happening but many countries, and not just countries as rich as Canada, are managing this. It is easy to understand why this can be managed. Anyone who has witnessed the suffering of a child with polio will want to prevent it. These witnesses will work to ensure that every child can be vaccinated. It is simple and elegant. You can watch the progress on social media by watching #endpolio. You can watch public health at work. You can watch the end of polio.